Images are one of the most effective ways to communicate online. A picture definitely paints a thousand words but many website owners don’t use images to their full potential. 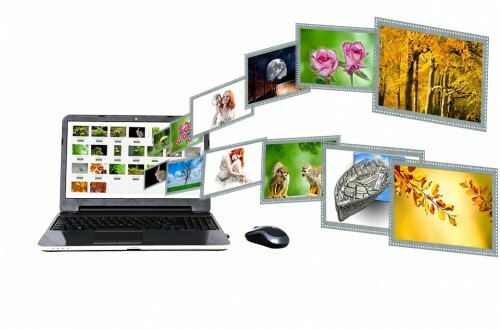 Optimizing your images for the search engines is a relatively easy process. This simple change can dramatically increase the number of people who visit your website. These are some easy ways to optimize your images for the search engines. When it comes to SEO, the size of an image has the potential to cause problems. However, images that take up too much space can be compressed without losing image quality. Manually optimizing images takes time and it’s easy to make mistakes. Content Management System like WordPress include a range of plugins that are designed to optimize images. These plugins automatically reduce file sizes. They also add alt-tags, titles, descriptions and other elements for images on a website. The most popular WordPress plugins designed to optimize images include EWWW Image Optimizer, WP Smush and SEO Friendly Images. Images often have a default name that’s not optimized for the search engines. The name of an image should be related to the subject matter of the webpage the image appears on. For example, if you insert an image with the default name ‘picture1.jpg’ in a blog post about gardening, this image’s name should be changed to a gardening related file name that closely matches the topic of the blog post. Alt-Text is another important component of an image which is often forgotten or overlooked by website owners. Each image is described by an Alt-Text field which can be read by the search engines. Sometimes this field is left empty or includes default text which is unrelated to its image. If this is the situation, you have to ‘optimize’ this field by entering text that includes words that describe the image better. Waiting for an image to load is frustrating for website users. The search engines often penalize websites that have this problem too. Reduce the size of large images so that they don’t have to be resized or don’t slowly appear on screen when a web page is opened. Photoshop, Gimp and other image editors make it easier to carry out this image resizing work. The more details you add to an image, the better as far as search engine optimization is concerned. You can add a caption to each of your images. These captions can give a brief description of an image and are recognized by the search engines. Certain images take up unnecessary space and can be replaced more efficiently. Borders in a web page are a good example of this. Instead of using image files for borders you could use CSS (Cascading Style Sheets) to create and format these borders. It’s important to take every opportunity to optimize your website for the search engines. Images are one of the easiest components to optimize. However many websites owners do not focus on this important activity. As a result they lose a large number of visitors every year. Making the changes above will prevent this and you’re sure to see an upsurge in traffic that you would have lost otherwise.